Earlier this week, an unconfirmed report surfaced claiming 20th Century Fox wants Bryan Singer to direct The Fantastic Four 2, which has already been given a June 9, 2017 release date. 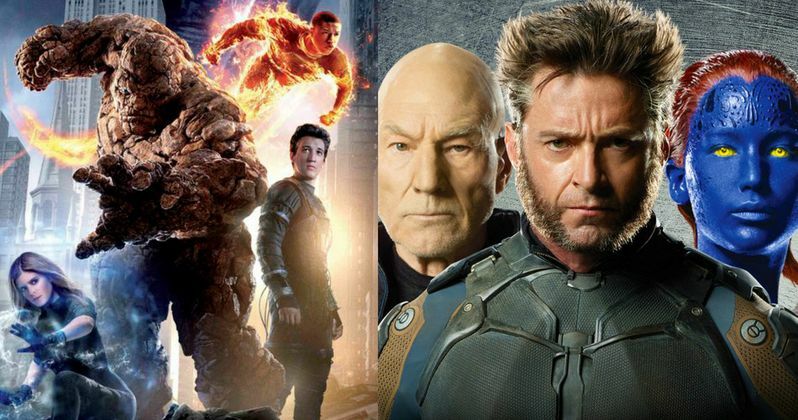 The rumor says that The Fantastic Four 2 will reportedly lead into a crossover movie with the X-Men franchise, which makes it possible to feature some of the mutants in The Fantastic Four 2, if this were to happen. Of course, this hasn't been confirmed, but CinemaBlend spoke with some of the Fantastic Four stars, who offered their thoughts on a potential crossover. Here's what Miles Teller (Mr. Fantastic) had to say about Bryan Singer. "I think Bryan Singer is a great director and I love the X-Men films. I don't know how that would work. If someone can come up with a world where that works and it's not just trying to combine a bunch of franchises to make money, then I think that's great." Jamie Bell added that the X-Men shows how to keep a franchise fresh. "To be honest with you I think the X-Men franchise is a good template for how to keep something feeling new, fresh and good." As it turns out, Bryan Singer was in the same room, answering the same question about a Fantastic Four crossover with X-Men, but nothing was revealed. The 20th Century Fox panel in Hall H is happening right now, so it's possible this rumor will be addressed during either the Fantastic Four or X-Men: Apocalypse portions of the panel. In the meantime, stay tuned for the latest updates on the potential crossover.